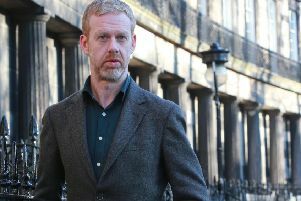 MORE Scots have gone down the self-employed route over the last three years as redundancies have struck. But those taking the plunge before taking out a new home loan have found to their cost that lenders aren't not so keen on people who are working for themselves. Self-employed and freelance workers who have tried to get a new loan in recent times - whether to remortgage or take their first step on the housing ladder - have faced a uphill battle, particularly those unable to demonstrate they have a regular income. The end of self-certification mortgages, which have become virtually extinct in the last year since the regulator proposed stricter affordability checks, has been a particularly savage blow for self-employed borrowers. Self-cert deals were labelled "liars' loans" as they didn't require borrowers to prove their income. But while they were undoubtedly abused during the housing market boom years, they were a vital and valid mortgage option for the self-employed. Melanie Bien, director of mortgage broker Private Finance, said: "Self-cert mortgages have disappeared as lenders are insisting on proof of income before they will lend. While this sounds fair enough, those who have only recently set up a business and don't have the requisite accounts are finding that they can't get the mortgage they need." That isn't to say that lenders will slam the door in your face if you're self-employed - it just means it could be significantly harder to get the mortgage deal you want. David Rolleston, director of Mortgage Advice Brokerage in Glasgow, said: "The same deals are available as to people who are employed, it's just the paperwork required by the lenders to prove income that can sometimes be an obstacle." Bien agreed, urging self-employed mortgage applicants to pull together as many documents as possible to help prove income. "It helps if you have contracts lined up to demonstrate income going forward and have a track record in the particular industry you are working in. Check your credit file while you are about it and get any mistakes corrected, or unfair information amended." Rolleston advises self-employed mortgage applicants to ask their local tax office for a copy of their SA302, which shows the income declared for the latest tax year.There is a potential drawback here for self-employed people who downplay their income on their tax return in an attempt to cut their tax liability, as it may seem that they don't have sufficient income for the mortgage they want. Rolleston added: "Many lenders put various obstacles in place in terms of what accountants' qualifications they will accept and for small sole traders who don't wish to pay the more expensive accountancy fees charged by a chartered company this can cause a problem." But he said that lenders are, on the whole, accepting SA302 documents, primarily because they are provided by HM Revenue & Customs. Borrowers can boost their chances further by providing at least three years of submitted accounts, although some lenders will accept two years' worth of records. There are technical matters to think about when it comes to submitted accounts, however. For example, if you're not filing your accounts for the 2010-11 tax year until next January, an application made before then would be based on figures up to the end of April last year. Rolleston said: "This would make them older than 18 months and again this can cause lenders problems as they haven't got the most up-to-date figures available to assess the applicant properly. So another best practice is to get the accounts organised as soon as possible and don't leave it until the last minute." The chances of freelancers and other self-employed workers getting lender approval can also be helped by short-term contracts, whether for six months, a year or longer. Rolleston commented: "The vast majority of lenders now class contract workers as a separate type of applicant, falling between employed and self-employed. The key thing is track record." The difficulty for self-employed workers is that lending decisions tend to be computer-driven and don't allow for human intervention, according to Lorraine O'Shea, director at Honour Financial Planning in Edinburgh. The "computer says no" approach is most prevalent among the biggest lenders, so smaller banks and building societies, from the likes of Clydesdale and Nationwide downwards, may prove a better bet. O'Shea last month handled a case where a lender decided to disregard 10 per cent of a self-employed borrower's income, which resulted in 15,000 less being offered. She said: "The reason given was that the client's self-employed earnings over a two-year period showed a reduction in income from one year to the next, therefore was considered less stable. The amount the income had reduced by was less than 200! "The loan amount requested remained affordable according to the lender's criteria, but this didn't matter as the computer would only take 90 per cent of the latest income into account. "Yet the lender would have taken all of the income into account where a borrower in full-time employment had suffered a large pay cut, she pointed out. If you're finding it difficult to get the mortgage you want it is worth investing in specialist advice from an independent mortgage broker. A good one will understand the mortgages available and know which lenders are likely to be the most sympathetic towards your application. And it is worth noting that some of the mortgage finance obstacles that self-employed workers have to surmount are faced by other borrowers. In the current environment it'll be hard to secure a good deal, if one at all, without a decent-sized deposit and a good credit record, regardless of your employment status. But if a lender does decide you don't present a risk, you have access to the same loans and rates as you would had you been in full-time salaried employment. Bien said: "The same deposits are required as for those who aren't self-employed but it is worth remembering that the smaller the deposit, the tougher the credit scoring, so you will make life easier for yourself if you put down as big a deposit as possible - ideally around 25 per cent of the mortgage amount."